Do you think of bees when you walk through the produce aisle? Probably not! But without them, we would not have the plentiful and endless variety of foods we enjoy daily. Unfortunately, the livelihood of bees is being threatened by poor pesticide management. The bees need our help. 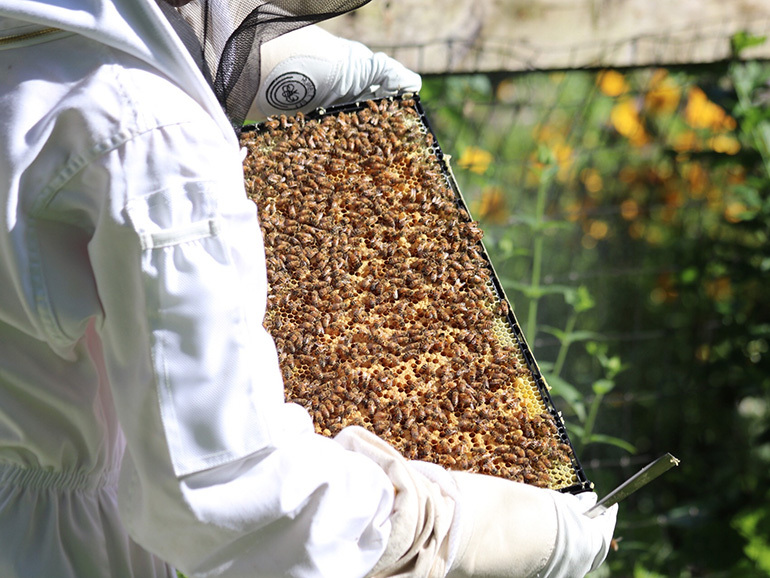 These hard-working creatures not only pollinate most of the food we eat, but they also make delicious honey! As a beekeeper, I have learned that bees require care much like any other family pet. But how can I keep my bees healthy with the ever-present pesticides in our suburban setting? This past summer I tried my own method of protecting my bees. On a beautiful sunny day, I interrupted a commercial tree sprayer who was doing “preventative” insect spraying on our neighbor’s trees and bushes. He was perplexed when I told them that I had a honey bee hive in my yard. 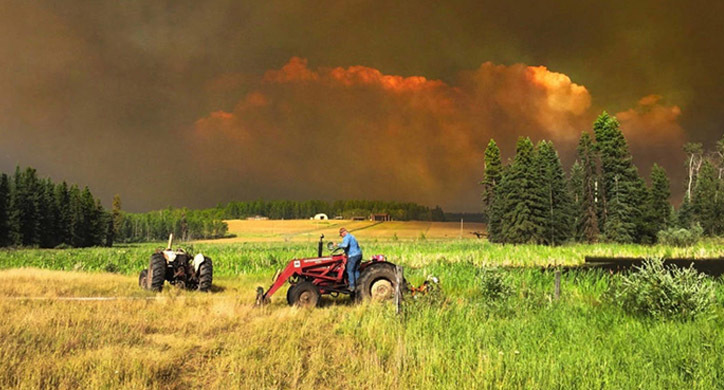 On one hand, he was under a maintenance contract to take care of trees, and on the other hand, he understood the spraying hazards to any type of foraging bees. While I may have made an impression on this sprayer by chasing him down, it is not feasible to manually protect the five-mile radius or 3,200 acres around my house— which is the distance that bees will travel in search of nectar and pollen. And these types of insecticide sprays, called neonicotinoids, are not the only thing I need to worry about! 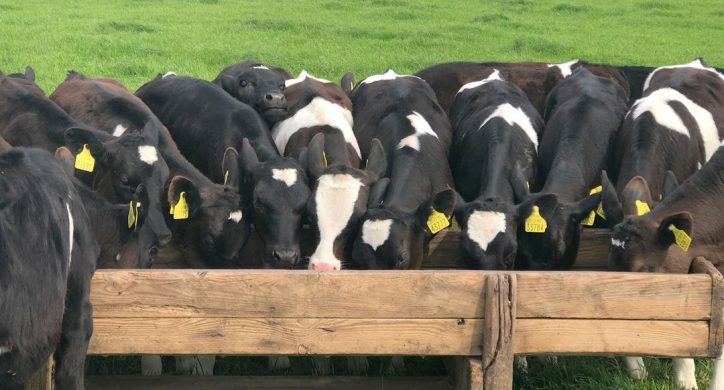 I have to watch out for the wax moth, small hive beetle, signs of Nosema virus, and the dreaded varroa mite, on top of making sure the “girls” have enough to eat. Are there enough different sources of nectar and pollen for them to forage on? And winter is coming… does my hive have enough honey stores to make it through the season? These honey bees (hives are in the background) are well-cared for and have a nice supply of nutritious forage. 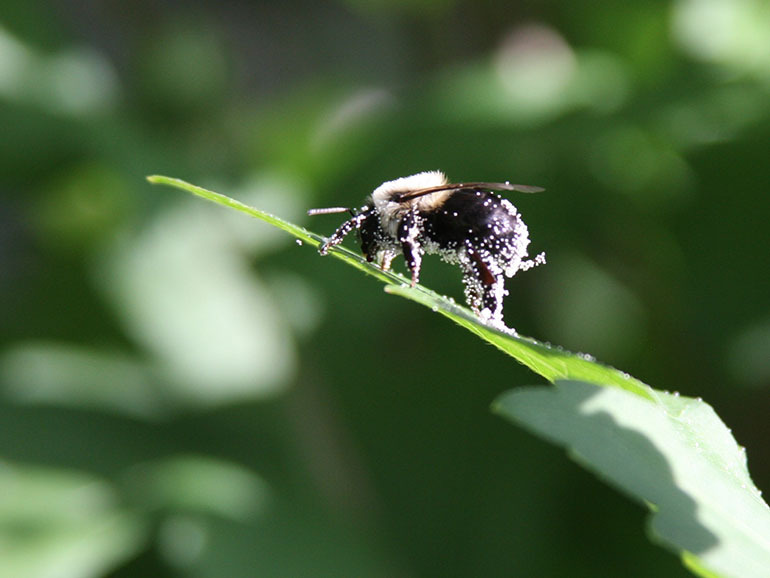 While my bees have it easy with the care I provide (and how fast I can chase down neighborhood sprayers), wild bees, bumble bees and the other 3,999 species of bees in North America might not be as lucky. We need bees for food! Pollinators are responsible for 35% of the world’s crop production and 90% of the pollination in wild plants. That equates to one out of every three bites of food we eat and all the wildflowers in the woods and prairies! Unfortunately, the populations of these native bees, butterflies and other important pollinators are shrinking. Imagine your diet without raspberries, almonds or blueberries. If it weren’t for these pollinators fertilizing the crops, we would be very sad consumers! 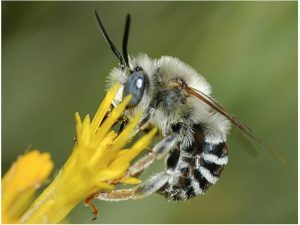 Some of the native bees species of North America. What is causing this shrinking population? 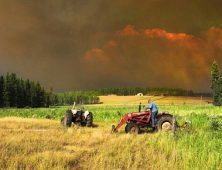 While neonicotinoids are not the only smoking gun, the effects of these insecticides ignite passions on both sides of the debate. 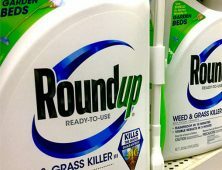 “Neonics” are used in agriculture, home gardens and even on your pets as an insecticide to kill sap- sucking and chewing insects that eat tender leaves from crops or drive your dog crazy from scratching. Neonicotinoids act on an insect’s central nervous system, causing paralysis and death. Neonics are applied either as a spray, dust or added to irrigation water. Staple crops such as corn, soy, and canola, use seeds that are pretreated with neonicotinoids. 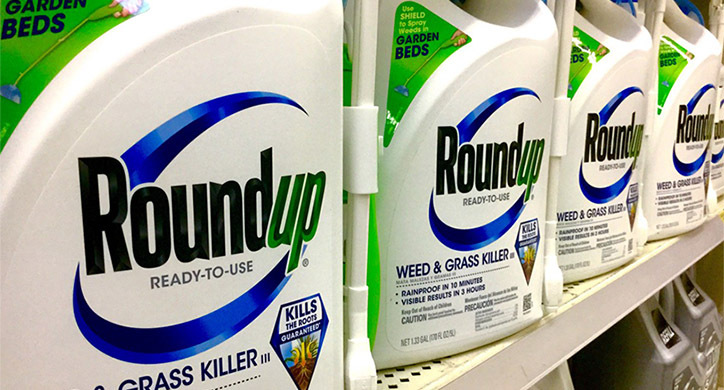 When used as seed treatments, neonicotinoids are taken up by all parts of the plant as it grows. 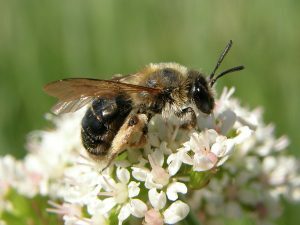 This means that foraging bees and insects may come into contact with neonicotinoids as they are foraging on pollen and nectar. 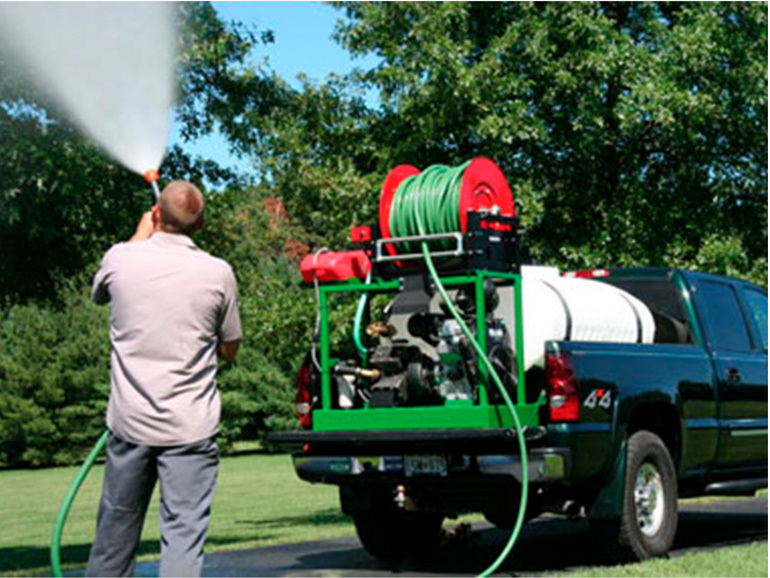 Tree sprayers such as this are common around suburban neighborhoods. Have a conversation with your contractor to see if spraying is really necessary. The research against Neonicotinoids is not entirely conclusive. To study the effect of agricultural chemicals on bees, scientists perform laboratory, semi-field, and field tests. 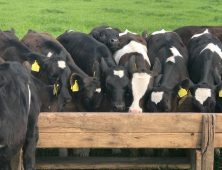 Of these, realistic field tests are the most difficult to conduct, as the variables such as weather and bee foraging patterns are never constant. On the other hand, laboratory tests are often criticized because the exposure to chemicals is manipulated and controlled, and not representative of a bee’s normal foraging activities. The Pollinator Network at Cornell University compiled an overview of the scientific evidence on neonicotinoids. 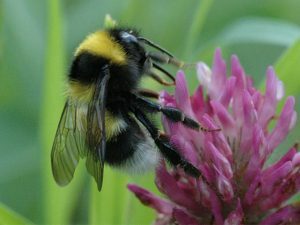 “Overall, the majority of laboratory and semi-field research demonstrates neonicotinoids can be harmful to honey bees; however, the majority of field studies find only limited or no effects on honey bees.” There is agreement, however, on the negative impact of neonicotinoids on bumble bees. How do we manage pests and protect pollinators? 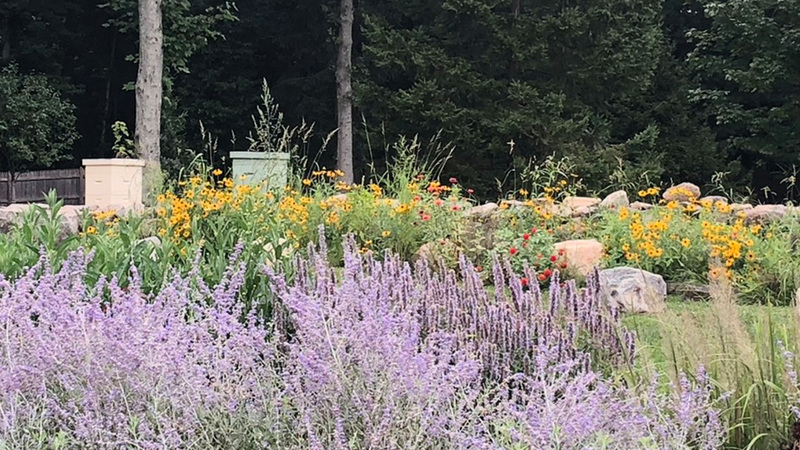 At the Penn State Center for Pollinator Research, biologists call it Integrated Pest and Pollinator management (IPPM), but if you are familiar with the term Integrated Pest Management (IPM), pollinators add a new dimension to this accepted paradigm. —Christina M. Grozinger, Director, Center for Pollinator Research, Penn State University. In this video, Penn State biologists demonstrate that both pest management and pollinator protection can be achieved when they are used in an integrated pest and pollinator (IPPM) context. What YOU can do to help pollinators! 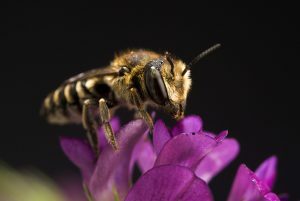 Plant wildflowers and other native plantings in your yard or neighborhood to provide nutritious forage for the bees and other pollinating insects. Provide housing for pollinators. Your local Audubon or State Agricultural Extension will have many recommendations. If you must use pesticides, be selective in your timing and dose: don’t apply when plants are flowering or when bees are foraging. 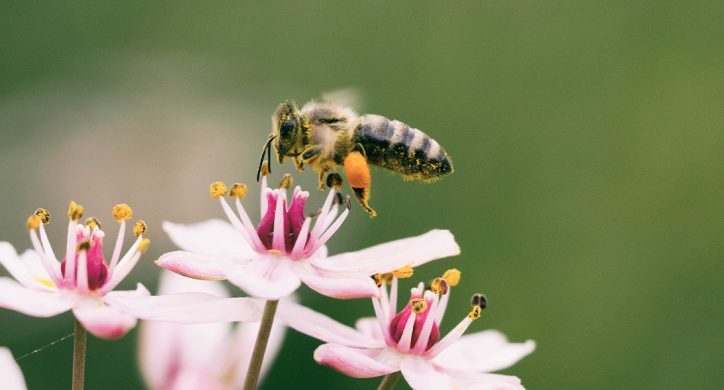 There are multiple pressures contributing to pollinator declines, but the good news is that there are steps we can all take to help them thrive. The sensible approach is to plant native plants and nutritional forage, provide habitats and be very selective in pesticide use.